This is the US EPA new 5-Part Uniform Hazardous Waste Manifest "EPA Form 8700-22 (Rev. 3-05)". 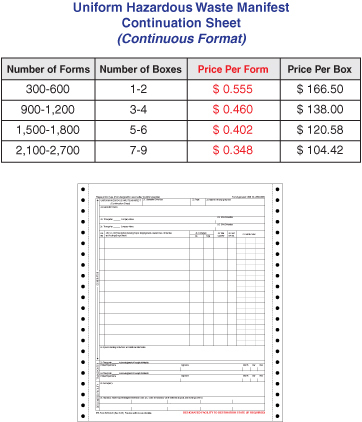 This Continuous version of the form is for use with dot-matrix computer printers. 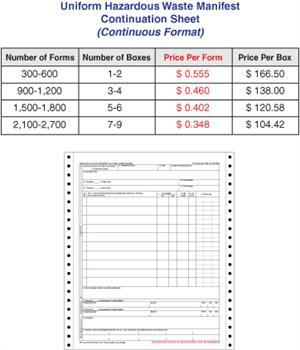 They are sold in cartons of 300 forms.